Your event is as important to us as it is to you. 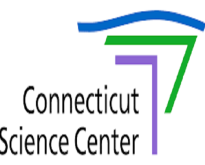 Committed to providing an unparalleled level of service and cuisine, Restaurant Associates, the Connecticut Science Center's exclusive caterer, has earned a reputation for uncompromising quality. Whether you are hosting an intimate reception, a gala for several hundred, or a special celebration somewhere in between, we will work with you to custom design a truly memorable experience. We listen carefully to your ideas and then put our experience and imagination to work to choreograph the perfect event. Distinctive menus, fine wine, elegant table settings and our attentive professional staff all contribute to fulfilling your vision. We dedicate ourselves to ensuring the success of your event.